The ultimate unbelief and haughty practice concerning – a “The Sinners prayer” – “Salvation Prayer” in the Christian churches. To really, fully understand what is happening we need to get into the core of the concept of a “salvation prayer” and the haughtiness and unbelief required to subscribe to such theology, which is very sinful. Everybody is extremely haughty in the period when the Holy Spirit is convicting us regarding sin and urging us to repent so that we can take the first steps on the Narrow Path of righteousness. It is the Love of God the Father that draws us to Jesus and to the finished work at the cross, His resurrection and His exaltation. We have no other alternative but to let His Blood cleanse us from every sin and worldly desires and from the hard grip our old friend our ego has on us. It is also the Blood of Jesus which cleanses us from haughtiness. The Blood cleanses all, if we allow it to. So at that moment we repent and totally come under willingness to obey, provided we mean to in our heart, asking forgiveness of sins, especially the haughtiness. Then haughtiness will start to disappear more and more in our lives. Christ will enter in and make us “new beings” and we will have a renewed mind and get born again. This can happen in any sequence as the Lord sees fit. After all, the Lord’s ways are mysterious. This will of course bring faith and the unbelief has to go. This does not happen too often in the congregation in the western world, because a true, pure and simple Gospel is not preached. Everything else is preached instead. Whatever we preach, provided we end up with the concept of a “Salvation prayer”, we come under the above passage. That is if we deliberately do it after knowing the truth. Certainly, this is seen in the period after Luther and of course increasingly from the times of Charles Finney (1792 – 1875) and Dwight Moody (1837-1899). We talk about time and definitely not the person, even if they started taking those called by the Lord into the “back room” and serve them there. There is no evidence, to the contrary, that these brethren adopted what we now call the altar call and then a salvation prayer. But the foundation was laid when the concept of “back room” was changed with water baptism and water baptism did not always occur. It was only at the beginning of 1900 that the altar call and especially the “sinner’s prayer” was introduced on a large scale by Billy Sunday and at mass meetings held by Billy Graham. In recent times it is Reinhard Bonnke whom most people associate with this, but also evangelists in large. Alter call and prayer room (backroom) should of course be replaced with a pool of water or the nearest lake or beach, or a bucket of water for that matter. If the willingness remains to baptise believers, an opportunity for baptism will always be there. If you are in the Sahara then bless sand as water. What also should be noted here is that it is sad that Luther did not take argument also against “infant baptism”. He lacked at least two or three “theses”. We know that evangelists, (me included) sometimes leave the water baptism to the local pastor, agreed upon at pastoral conferences before the meetings. That is a practice that we sometimes can accept. But not even that is according to the description in the First Church. 3000 were baptised on Pentecostal Day. We really, really hope that a Godly form of “safety control” is the practice if such a practice is used, if not the evangelists for sure have to return to do the job themselves, which I had to do more than once. So because of that I have more or less stopped leaving it to the local pastor. We do not pinpoint some of these men of God and evangelists who really surely lead and are leading many thousands on the path to Heaven. But we will here explain the point of that haughtiness in this particular “phenomenon”; “salvation prayer”. Many of these also in their preaching concentrate on rebirth which is what we need to concentrate on. But they also have what should not be there, namely the declaration that “now you are saved”. And we’re not talking about saved out of this world. We are talking about that being established that when you die you will go to Heaven. The same thing applies when we speak of “eternal security”, which will come back to. When we mention names, it is just to get the time period and the order in which it has occurred within this period. We put our finger on the haughtiness that occurs even in men of God who have “big” names in history. We want get the “how long and how widely this has been going on” into the open. We would also like to mention that there are studies showing that the number of backsliders after a “salvation prayer” and an “altar call” are around 84 to 97%. What we do is that we exalt ourselves to decide who goes to heaven. It is not only the haughtiness in this which we shall deal with in this chapter. it is also unbelief, in more than one way. 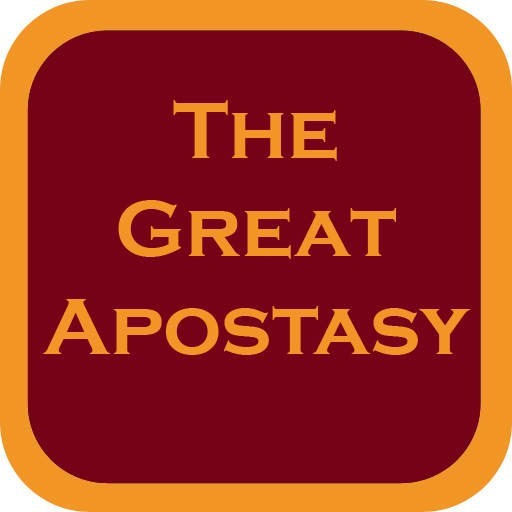 There are books today that deal with this “prayer of salvation” and a few examples are; “Ten indictments Against the Modern Church” by Paul Washer and especially “The Sinner’s Prayer – Fact Or Fiction?” by Andrew Strom. Even a search online provides millions of hits and Wikipedia have even come up with an article in the latest entry. So it’s Jesus who will execute judgment. He will one day let you know who goes where. It is the fact that we have taken on that role, which is the disaster. This is the arrogance, the haughtiness, the pride and the unbelief, adding disobedience of course. Every priest and pastor in every funeral has taken the role of Jesus and is judging the dead and those in sorrow into Heaven. 5 Jesus answered, “Most assuredly, I say to you, unless one is born of water and the Spirit, he cannot enter the kingdom of God. These passages deal with the same thing. If not, there would be contradictions in Scripture, and in fact there are not. This would also be arrogance if we think there could contradiction in the Scriptures. We have to be humble enough and accept that we do not know everything yet. Can anyone tell me how we are to worship in spirit and truth without being in spirit and truth? And since it is Jesus who baptizes in the Holy Spirit we most leave it up to Him when He does this. This is also the great mistake we make when we tell others the time when they were baptised in the Holy Spirit and Fire by Jesus. What we actually do is to tell Jesus when He baptises someone in the Holy Spirit. It is Jesus who baptises, so how can we proclaim something like that in another believer’s life? Some claim there is proof of this like speaking in tongues. But they are wrong simply because they should leave it to Jesus when He does these wonderful tings. There is no such biblical truth either. You don’t find it in the Scriptures for the same reason. Leave it to the Lord! The preaching of repentance, baptism, remission of sins and Spirit baptism has long been shelved for a while. This is the fatal mistake that came after finger-pointing preaching also by famous evangelists. It is strange that we cannot manage to keep ourselves in the middle of the road, in the centre of the well-lit area for more than a few years. Even the “Azusa Street” revival faded pretty fast, also because of arrogance and unbelief. The moment we say; “Now you are saved and go to Heaven when you die”, then we exalt ourselves. Many believers are not aware of this, but it is definitely the case. Mat 10:22 And you will be hated by all for My name’s sake. But he who endures to the end will be saved. It’s that simple. It is Jesus who decides. No matter what some others might think. We must humble ourselves to let Him decide who goes to Heaven and who goes to Hell, one day. It is of course a disaster also to tell someone to go to Hell or to think of them as deserving to go to Hell. Both suggestions are similar errors. Both statements are judgmental. If only we could be so humble and admit that Jesus decides. Yes, we have the promises, and the promises cannot fail, but still we must not tell God Almighty what He can and cannot do. The fact is this: when you are born again, you do not need to constantly be reminded that “now you’re saved”. We thank Jesus 24/7 for our rebirth. What we talk with Him about is one thing, but what we proclaim in the lives of others is another thing. We cannot proclaim the saving faith in the heart. It’s the Holy Spirit who does that. He is the Only One who can do that. And when given a guarantee from the Holy Spirit we do not need to hear it from others. It is the same people who criticize both the one and the other who pray a quick salvation prayer with people and send them out into the world with a pat on the back and a good luck to follow. Just as if God Almighty is dependent on luck! It is most arrogant and full of disbelief. These same people are also the ones who assume the following, as an explanation to justify “salvation prayer” and to give references in the Scriptures of this “phenomenon”.. Let us try to explain the phenomenon that is being used for verification that a salvation prayer has been a success. They are looking for gifts from the Holy Spirit, and when it is seen by one in his or her life, it is used to verify the success in those who have prayed this prayer. It is also sad to note that invitation to baptism is often omitted. For with this saying, they claim that they have produced something. They forget that it is the Holy Spirit who produces this, and it is His gift in one’s life. Mat 12:33 “Either make the tree good and its fruit good, or else make the tree bad and its fruit bad; for a tree is known by its fruit. 5 For we through the Spirit eagerly wait for the hope of righteousness by faith. 7 You ran well. Who hindered you from obeying the truth? 8 This persuasion does not come from Him who calls you. 10 I have confidence in you, in the Lord, that you will have no other mind; but he who troubles you shall bear his judgment, whoever he is. 11 And I, brethren, if I still preach circumcision, why do I still suffer persecution? Then the offense of the cross has ceased. 12 I could wish that those who trouble you would even cut themselves off! (A chapter is the minimum of what we have to deal with if we are to provide a solid reference for things that are very difficult). Psa 119:160 The entirety of Your word is truth, And every one of Your righteous judgments endures forever. So when someone then tries frantically to find scriptures that support a “salvation prayer” that they fall short because it is more than the fruit of the Spirit. It is also very largely fruit of the harvest. But to take it further and use Gal. 5:22 to say that when one has prayed a “salvation prayer” with someone, it is simply to look for the Fruit of the Spirit., Furthermore, if you find any of this, then everything is in order. Similarly, we say that if one has one of the errors in Gal. 5:19-21, then you are not “saved”. Both these statements are nonsense and arrogance of course. I can assure you that you might find many gangsters who will claim they have one or more of these things present in their lives; love, joy, peace, longsuffering, kindness, goodness, faithfulness, gentleness, self-control. The world can give these things in a worldly fleshy way. And many are mistaken. We can assure you that we are therefore not looking to point out errors or defects in the preaching of anyone, but to “highlight” names among the “pillars” because what has been practised is something that we would call arrogance. We are all proud in some way and these “famous” preachers have, with the help of the Holy Spirit, perhaps led millions to Jesus. But that’s not the point. The point is that we must understand that even the most “trusted” pillars fall under this haughtiness and unbelief. For it is so that “easy” and “nice” “actions” have taken over, meaning to say that it seems to be the easiest thing in the world to get a free ride to Heaven. It is not so. Who says that it should be so easy to get into Heaven? It has now reached such a stage that we do not need to believe in order to get into Heaven. God’s grace is enough. Well this is a massive lie. So in addition to this we have all the parables of Jesus and a number of statements. 14 Because narrow is the gate and difficult is the way which leads to life, and there are few who find it. We do not need to give more references. Read the Scriptures carefully and you will find that the seductive, “easy and nice”, convenient teaching which now characterizes the preaching, is not found in Scripture. Take for instance a couple of examples from Luke. We just want to remind you that what is impossible with men is clearly possible with God and that all need to be born again. We must be humble enough to trust the Lord to give us assurance of Eternal Life. Humility is courageous confidence in a God who keeps promises. We can have 100% confidence in Him. Humility is to have confidence in the Father. Humility is to entrust all things to Him. Humility is to Fear God. So now gradually we begin to understand the tip of the iceberg when it comes to arrogance in unbelief. Eventually, we will also take a little look at what is beneath the water and then leave it to the reader to assess whether pride and unbelief is important to get rid of it from everyone’s life. This also applies to those who are born again. The flesh is after all fighting the Spirit. Constantly! It is of course leaders, pastors and elders who must take the main blame for the current state of the church. That is because the few who come to faith are subjected to this hilarious, outrageous, false “salvation prayer”, but having said that, each member has not done his or her job to test everything. When we really analyse the “salvation prayer” and make claims that could be hard for many to swallow. We should go into prayer and ask the Holy Spirit to reveal to us only the truth, and whether it is according to Scripture or not. What is required rather, than a simple salvation prayer, is the Gospel of total surrender. When Jesus can see in your heart that a total surrender has taken place, the Holy Spirit will do the rest. That’s what promises are. It’s this that is calling Jesus; Lord. It is this that we need to take to our hearts. It is this that we need to believe, that we need to be born of God. Born Again! This definition of faith implies total surrender; nothing less.. When a figure like 2% of the congregation being born again is mentioned, we do not want to go into detail about it, but the reader can begin to figure it out for himself, and begin to test this claim. When someone says “pray after me” and ends with “now you are saved” they preach a false gospel. Finally in this Chapter, we should mention something about “God TV” (not the specific channel of that name; it is used in the generic sense) and certain websites. These media are experts in declaring that: “Pray after me so that you will go to Heaven when you die.” But they have got it ALL wrong. For example, who will baptize those who “accept” a false “salvation prayer”? 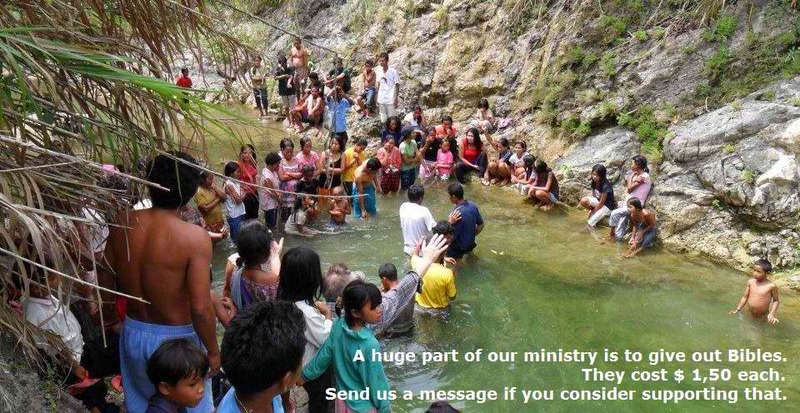 Never have I heard anyone tell the viewer to ask a local Bible-believing church to baptize him.. I have asked some friends and they can verify that this has very seldom happened. “God TV” therefore has a major problem. Or in fact, a double major problem that they have to answer for one day. And this is arrogance or haughtiness, as well as unbelief. What is worth noting here is that those who think that saying “I believe in Jesus” provides guaranteed admitance into Heaven, always supporting this with Paul’s letters. Why on earth can they not see that these letters were written precisely to remove this lie of the diluted, “Lite” gospel? Over three tearful years, night and day, Paul had to exhort these churches. And this is what they refer to, in order to support their claims? I do not know whether to laugh or cry! “God, thank you for sending Jesus Christ and showing us who you are. Thank you that Jesus died and rose again for everyone and for me. Let me be your child and live the rest of my life as a follower of yours. Not only do they compromise their own doctrines of course, but furthermore is all blasphemy against God’s Word. It is sad, so unspeakably sad – Such huge degree of haughtiness unbelief, and they are in for a big fall. At the moment I have just bought and gone through a new “Spirit-Filled Life” “study Bible” 2002 edition that came in the mail yesterday. I was careful to buy a new one when we were in Norway, since Amazon is very quick on delivery of books there. The previous edition that I had, I gave away at Manila International Airport. This new Bible, however, is almost an exact copy of the old one, and has been attributed to various extra material at the end that was not in the old version. A number of quite well known evangelists and others have come up with some “To assist you” material as well. This one is, after all a “study Bible” so should this should be included.. But in one of they have written, something that has been added called “How to lead a person to salvation,” and it is what I would call a particularly sad idea. So they have managed to sneak this extremely dangerous forgery into Bibles through the back door. The publisher boasts on the cover “over 2 million sold”. So what should have been a joyful message is now a less joyful message. How many millions of people have learned this lie in churches, libraries, schools, bible schools? We can only weep! Yet again, rebirth is sadly not mentioned. Yet again, water baptism and Spirit baptism go unmentioned. 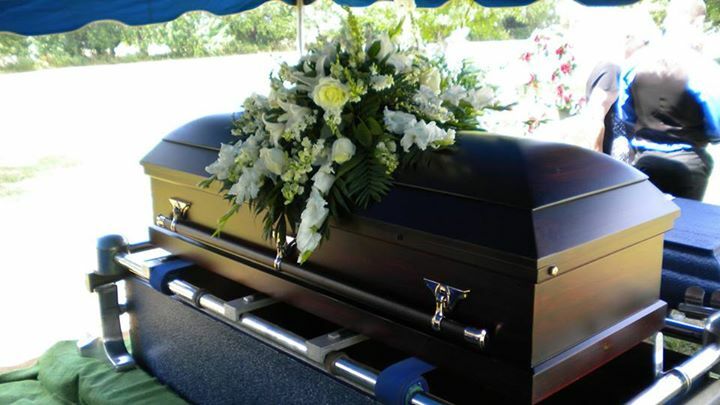 Yet again, you are given an assurance that, “Pray with me and you will go to Heaven when you die.” What arrogance! What haughtiness! Those responsible are in for a big fall. I should like to add that I’ve just been reading the “Heavenly Man” for the second time. If you have not already done so read it! Yun, the man who got this nickname from his guards and the authorities, is deeply troubled how far the western countries have defiled the Gospel by making it into something different. He, as many other Chinese, cannot recognise it when they hear it. Neither can I.
JESUS is the one through whom God speaks. JESUS (and we together with Him if we believe as the Scripture say) will inherit the Kingdom and all things. JESUS was there when God created the universe. JESUS laid the foundations of the world at the beginning of time. These are just a few things the Bible says about our Lord and Saviour Jesus Christ. There can be no doubt about what the Scriptures say about Jesus. All this and more is repeated in the rest of the Scriptures. En deling og grunning over Judas Brev. Ja det er nemlig det disse vranglærere gjør; DE TAR NOE BORT FRA SKRIFTEN! Det er tre til fire overstelletser som bil bli brukt her; Norsk Data Bibel 88B, KJV, NLT og Levende Bok som over. Dette for å sette lys på et par viktige ting. Vanligvis bruker jeg kun en oversettelse når jeg skriver for ikke å bli beskyldt for å gjøre som Rick Warren i «Purposedriven life». Forvirre og trikse for å få frem det han vil vri det til. Vel det er ikke meningen her. Vi blir her fortalt å holde ting uforandret. Det betyr i alle tilfeller å forkynne det evangeliet som Jesus forkynte. Men i dag vil de fleste ikke gjøre det. Det har blitt for KJEDELIG! Man sier med dette at vi vet bedre enn den Hellige Ånd. Og man sier dessuten at det er oss og ikke den Hellige Ånd som skal virke. Men «ikke legg til og ikke trekk ifra» er budet. KJV sier; “turning the grace of our God into lasciviousness” – “Vende vår Guds nåde til skamløshet”. 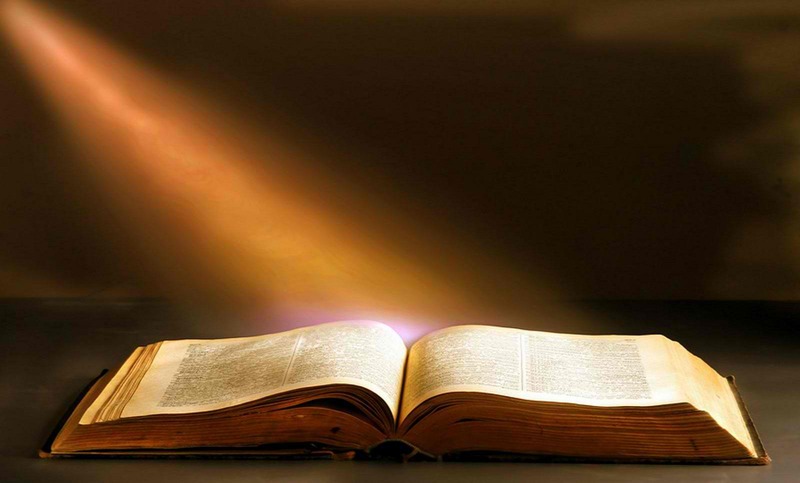 b) 5 Other manuscripts read [the] Lord, or God, or God Christ. Altså det påpekes at det var Jesus som gjorde dette. Derfor er det på ingen måte noe rom for å misforstå hvordan det vil gå med de som med vitende og vilje og med en egen agenda forkynner disse vranglærene vi har i dag. Denne falske nåden, dette falske felleskapet, denne måten de drar inn penger på, denne nye måten og presenterer Jesus på; en som bærer over med synd. De vet at Skriften advarer mot det de gjør, men deres egen agenda er så viktig for dem at de gir blaffen i hva Skriften sier. Hvordan tro du disse vil kunne forsvare seg for Jesus Kristus sin Domstol en dag? Så det er dette vi bør nevne de ved og advare om; «disse som ligner dyr uten fornuft». Men gjør man det vil man bli skjelt ut av omtrent alle som betegner seg som «kristne». Men Skriften gjør det, altså Jesus gjør det. Og dermed må en etterfølge gjøre det. 11 Stakkars dem! De følger Kains eksempel – og gjør hva som helst bare de får penger for det. Akkurat som Korah er de ulydige mot Gud og tror at de skal vinne på det. De kommer til å gå til grunne! 12 Disse menneskene spiser kjærlighetsmåltidet sammen med dere, men de er bare til skam. De ler, fråtser og stapper i seg mat uten å tenke på andre. De oppfører seg akkurat som skyer som blåser over tørt land uten å gi regn. De lover mye, men gir ingenting, – er som frukttrær uten frukt. Ja, de er ikke bare døde, men dobbelt døde, – rykket opp med rot for å brennes. 13 Alt de etterlater seg, er skam og spott, – lik skummet som blir liggende på stranden når bølgene har strukket seg tilbake. De går omkring og ser strålende ut, lyser som stjerner, men foran dem ligger et evig mørke. Men når du snakker med dem så er de raske til å fortelle deg at det er du som volder splittelse som ikke vil innordne deg under deres autoritet. Men de har ingen autoritet, de er bare onde fordi de vil ha autorietet så ingen skal kunne motsi dem. Så la oss avslutte med Judas sin avslutning. La oss legge oss dette på hjerte at om noen skriker så mye han orker når du drar ham ut etter håret fra den bygningen som brenner så bry deg ikke om det. 21 Hold dere alltid innenfor de grenser, der Guds kjærlighet kan nå dere og velsigne dere. Vent tålmodig på det evige liv, som vår Herre Jesus Kristus i sin nåde vil gi dere. 22 Forsøk å hjelpe dem som diskuterer med dere. Vær barmhjertige mot dem som tviler. 23 Frels noen ved å rive dem ut av helvetes flammer. Andre skal dere hjelpe til å finne Herren ved å være gode mot dem, men ta dere i vare så dere ikke selv blir trukket med i deres synder. Hat hver trevl av deres synd, mens dere samtidig er barmhjertige mot dem som synder. 24 Må så all ære gå til ham som alene er Gud, han som frelser oss ved Jesus Kristus, vår Herre. All makt og myndighet er hans fra begynnelsen. Hans er det og hans skal det bli for evig. Og han er mektig til å bevare dere, så dere ikke snubler og faller. En dag skal han stille dere framfor seg, feilfrie og jublende. Amen. An enormous number of books have already been written about faith. Attempts to describe and to explain faith and belief have been made from A to Z. Actually, there is little to be said about belief and faith. These are already perfectly described in Hebrew 11, and elsewhere. Unfortunately, many misleading books have been written about faith. Many people claim that they believe or have faith. But in fact what they have is merely a fleshy, feint hope. Also, many have tried to say that doubt is not the opposite of faith, explaining that this is unbelief. This, of course is wrong, because doubt and unbelief are two sides of the same coin. And that coin is produced by Satan. Furthermore, today’s teaching is that unbelief is to be pitied as a kind of sickness. And that lack of faith is a normal thing to have, even if you call yourself a “born again”. This is the most pitted fault there is; not to treat unbelief and rebuke it, like Jesus does. Moreover, there is the big lie that doubt is a part of our faith. We shall address all these lies in this book. In the last book written in Norwegian – “Hovmod” (Haughtiness) we address some of these issues. Some of these chapters will be translated and put in this book, where they belong as the Holy Spirit dictates. “Today (in the congregation) unbelief is treated as a “sickness” that ought to be pitied instead of being confronted as the sin that it is”. Unbelief is mentioned in the bible as “The Sin”. It goes hand in hand with haughtiness and it has to be confronted, which indeed we will do in this book. We will confront all those pastors who think they can twist the Scripture with no consequences and all those leaders and elders who do this deliberately. We will correct the congregation in their mistaken understanding and we will furthermore preach a simple, pure, full and true Gospel. There are today mainly three (among many) kinds of false teachings which tend to spore atheistic churches, which pop up like mushrooms after the rain. This is so called “hyper grace” – the false grace gospel, witch walks hand in hand with the “once saved always saved” (OSAS), or “eternal safety” if you like. And the other is known as the “prosperity gospel”. First and foremost, we should probably be mentioning the false doctrine of the Catholic Church. Then on top of these there are all the sects and cults. They are all false, and those who preach them have accursed themselves and can expect a big fall. Many of those who have “bought into it” are confused and are lukewarm and they all have to repent. As with “Hovmod” (Haughtiness), this book is not for the faint hearted. It is going to confront you big time, and hopefully make you want to repent. This is what Jesus calls agape love. It is not a loving attitude if you tell someone who is walking the highway to Hell that he is OK. That is cowardly and hateful to the Truth. It will be mentioned so many times that you will probably get pretty tired of it. But before finishing the book you will give your heart and your will to the Lord. Or you will quit reading and continue to be disobedient, full of your own pride and rebellious unbelief. Hell will one day be full of people to claim they believe in God. Mat 7:21 “Not everyone who says to Me, ‘Lord, Lord,’ shall enter the kingdom of heaven, but he who does the will of My Father in heaven. All of these will claim they believe. But as the teaching of Jesus continues; He declares that it is those who do the will of the Father who will go to Heaven. That means that those who choose NOT to do the will of the Father, purposely being disobedient, will not go there. As I mention in the foreword of “Hovmod” (Haughtiness), it is of course not all the time pleasant to focus on the negative about being a Christian and being one who is constantly confronting and angle into the text in the Scripture to allow the negative side of the believer come to light. I believe on the other hand that it is time for books like this to appear more and more on the market, as the time is more and more imminent for the return of our Lord and Saviour, Jesus Christ. Therefore the reader has to bear over or be patient in a way that we can “overdo” some times. It can be too much. Our advice when that happens is to put the book aside, but not forget about it. Start reading again when the Holy Spirit reminds you. Bear over with us also if we should make the error of having belief that is negative or even wrong. After all, it is good if we are wrong when we address unbelief and haughtiness in the church. When you are in Spiritual, emotional and even physical pain, when some of the members on the Body are in pain, you know what this means. What the Body needs today is the voice of all this who feel this pain. So many are controlled to be silent! So many have the teaching of “don’t rock the boat”! So many have wrongly been thought to not oppose the leaders no matter what! So many are sitting idle when the ship is obviously going to hit an iceberg and sink! So our hope is that you as a “churchgoer” will raise your voice after reading this book and first take the plank out of your own eye, and then remove the speck in your brother’s eye. Then unison confronts the leaders and pastors in the church about their unbelief and haughtiness. That you pastors and leaders, elders and what ever you call yourself, will be humble enough to admit your unbelief and haughtiness, repent and start to preach a pure Gospel and doctrine. Full of Faith and Truth! The fact is that the church is in a prophetic state of rebellious unbelief and haughtiness. It might be wrong to even say this about the Church where Jesus is the Head. But if the Church is the Body and the Body is those who believe, as the Scripture say, the born again, the obedient assembly of men of woman of God, then it is time to realize what we are facing approx. 2 billion (2000 million) people who think they are on the way to heaven but roam around on the highway to Hell. It seems to us that the Bible is crystal-clear about the fact that faith and belief come from hearing (or reading) the Word of God. It can’t be many sound doctrines and preachers or evangelists, nor many who study their Bible. We hope this book will open up your eyes to your rebellious unbelief and harden of heart that comes from haughtiness and, by that, you will start to ask the Lord of the gift of discernment of spirits and then again also start to really, really STUDY your Bible. Unbelief has to do with disobedience. Little faith is another thing. That has to do with doubt. And immediately Jesus stretched forth [his] hand, and caught him, and said unto him, O thou of little faith, wherefore didst thou doubt? You can not force your given faith in Jesus Christ or our faith given in doing miracles or even healing onto other fellow believers and not to unbelievers of course. Faith is a gift and it comes from hearing the Word of God. (Or study/meditating.) Some say that we have unbelief because we don’t wake up dead. Or cast out demons. Well Jesus mention that some time demons don’t leave because of little faith. But mainly, and as a very clear Biblical fact, unbelief has to do with disobedience. Ref. 1. Peter 2:7-8. And of course many other places we find the same. The Sin is after all disobedience. Ref. John 14-15-16. If we do things without faith in the spiritual we sin. So to try to push onto others your faith with the intention that they should act on your faith will be to tempt people into sinning. We can talk about miracles as much as we want. But button line will be that if you want to do the greatest ting you harvest people for eternal life. Remember what kind of party there is in Heaven when only one repents! The miracle to be born again is so great that Jesus say we will never in this life be able to explain it. Have a blessed harvest from now and until Jesus come back. GO OUT! New Years wishes, well here is one, can’t be much better. Stop being afraid of man, and stop the fear of the congregation all you cowardly pastors. Get the Fear of God back in your life and start to kick some buts for crying out load! Why on earth don’t the pastors in all this churches confront the lukewarm? Because they are also in the darkness! And they also don’t want to come to the light. Why because of the love of money. They are concerned about the tiding, the 5 % or less, their job, their income. They are also cowards who purposely hold the congregation in ignorance so they can stay. You see there are no room for repentance in lukewarm. We can hope for turning to hot, but the normal way will be and should be through cold. That means that to turn from lukewarm to hot there is a great danger of just being something between lukewarm and hot which is still lukewarm. So how can they get cold? Well they have been told for so long they are ok and on the way to Heaven so their disobedience and sin have made them more or less unable to listen to the Holy Spirit. They need to be confronted with the Word of God from the pulpit, or directly in a conversation. It is still from the Holy Spirit if it is done with Love. Normally they will leave instead of repenting and find another congregation witch suits into their lukewarm state, which is of course very easy. Therefore they have to be confronted so severe that they don’t forget it even if they change church. It will follow them at night in bed and in the car to work. They will hate you for doing that, but there is a reward for you in Heaven. Because if their heart is right and it is the devil who has just tricked them they will in the end repent. There is not much greater love you find than in the “lost son”. And they came out humble and full of willingness to serve in the harvest field. If they have a harden heart full of rebellious unbelief they will not repent, but you have then after all get them away from young people who they often influence. To buy onto this false teaching ends always up in confusion. And from confusion to lukewarm the road are very short. Born again can not sin? It is of course a lot of false doctrines here at FB (and elsewhere), but it is extremely sad when it comes from those who act like and suppose to be pillars in the faith. Even more sad when some of them who call themselves apostles and evangelist and even more we have to be careful because it looks like they have some fruits in their earlier life. It reminds of a prophesy from 1967 about a lot of believers will first start to preach the right stuff and then starts to sneak in the bad stuff. I hope and pray it is not the case in these matters. I hope it is more like a big misunderstanding! When we are born again we can not sin any more. A lot of the teaching of Jesus is only for the Jews. No need of give or ask forgiveness after being born again. I will not go into Scriptures to much when it comes to where they refer to back up such teaching, but obviously the first on is from 1. letter from John. The second is that many refer to the “beatitudes” and claim that is to the Jews, ONLY – (it was the truth before Jesus died on the cross), and thirdly the last is obviously a result of the first false claim. There is also a kind of confused teaching if the souls are born again or only the spirit. Obviously it is not the body …. I will not go into that here only make the true claim that the body with its faults and desires are for sure not born again. Again a lot of this it falls on its own improbability. 11 But when Peter came to Antioch, I had to oppose him to his face, for what he did was very wrong. 12 When he first arrived, he ate with the Gentile believers, who were not circumcised. But afterward, when some friends of James came, Peter wouldn’t eat with the Gentiles anymore. He was afraid of criticism from these people who insisted on the necessity of circumcision. 13 As a result, other Jewish believers followed Peter’s hypocrisy, and even Barnabas was led astray by their hypocrisy. So to say that hypocrisy is not sin or to say that Peter the author of two letters in the NT is not born again will be pretty foolish. To claim that this happened before Jesus died on the cross or to say that Peter didn’t have to repent and because of that ask forgiveness for sin is even more foolish. Let’s say you are free from this, will not the Scripture Himself tell you that to brag like this is sinful! I mean if it is true you can’t brag about it! We are after all nothing in our self. On top of these things they make sin to sin showing the whole world their haughtiness. They are of course in for a big fall if they don’t repent. 9 Those who have been born into God’s family do not make a practice of sinning, because God’s life[a] is in them. So they can’t keep on sinning, because they are children of God. 10 So now we can tell who are children of God and who are children of the devil. Anyone who does not live righteously and does not love other believers[b] does not belong to God. 18 We know that God’s children do not make a practice of sinning, for God’s Son holds them securely, and the evil one cannot touch them. It is about time that the church gets their eyes open for the following truth; we can stumble (failure), we can fall (into sin) and we can practise sin (live in it – like “live in” outside marriage, something that’s going on constantly). Born again will never make a practice of sin. They will never sin with obvious purpose against better knowledge. And if they do they repent when they told (Ref David and Nathan) As long as I have walk with the Lord no one in any congregation or pastor, elder and leader seems to understand this; The different about stumbling and even falling to the practice of living in sin. May be I have been around wrong people and wrong churches? What do you think? 24 Remember, the sins of some people are obvious, leading them to certain judgment. But there are others whose sins will not be revealed until later. We will not mention a lot of these sins which of course is not easy to be seen like drunkenness and fornication and divorce. But we will mention one, that is enough, because it is the root of all, even the root to the root of all evil, to love money; the HAUGHTINESS.